Winding its staggering way along over 5,000 miles, the Great Wall of China needs little in the way of introduction. It’s long, seriously long – it would take around 18 months to walk its length. And while sections have been ravaged over time, it’s been rebuilt, expanded and beautified over time by different dynasties, lacing its way beside the manic metropolis of Beijing, to deserts, mountains and farmland that’s remained unchanged for centuries. Built to protect the Chinese empire, the series of stone fortifications can be explored at any point. Don’t miss a trip to Shanhaiguan though, where the wall meets the Bohai Sea at Laolongtou or the ‘Old Dragon’s Head’. My dad, a builder, assured me that this wasn’t the case and tried to quantify to a 9 year old how long it would have taken for him to build such a wall. If it would have taken my dad 1000’s of years I decided that I had to see it…. It took me a good few years to get there and I wasn’t disappointed. The Great Wall stretches for 1000’s of miles, it isn’t continuous and it cannot be seen from space. Parts of it are built from stone, and other parts from packing down clay. I’ve been fortunate enough to walk alongside it with a camel train in the Inner Mongolian desert; I’ve climbed along un-restored, wild parts of the wall where it is easy to imagine being back in the days of the Emperors and visited the tourist centre at Badaling where a never ending supply of Chinese tourists flock to see one of their countries’ great treasures. The Great Wall is exactly what it says on the tin. 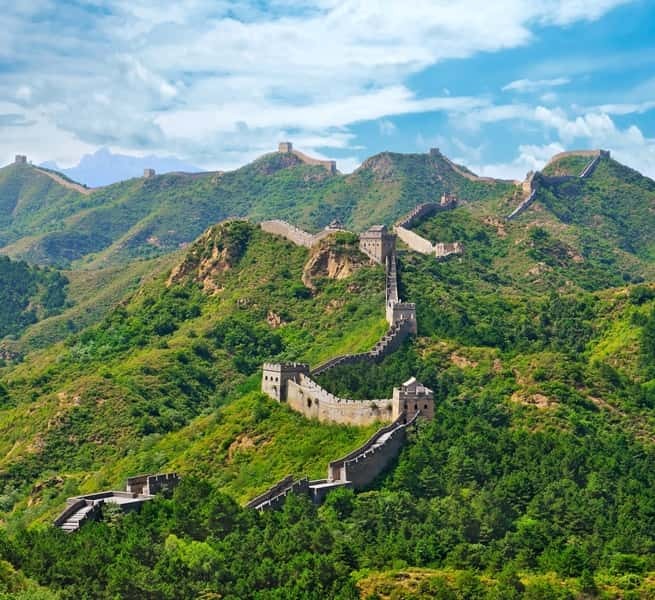 It is great and it is a wall, however I can honestly say that even when you have seen one part of the Great Wall you haven’t seen it all"
How long does it take to walk the Great Wall of China? Our 10-day Walk the Great Wall trip includes some of the most spectacular sections of the wall. Or why not extend your trip to 12 days and add on a visit to the impressive walled city of Xi'an on our Great Wall extension tour?